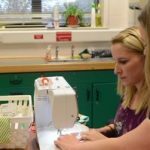 Are you thinking about getting involved with sewing? Congratulation, Sewing is one of the most interesting skills that one can have. Instead of using your hands to have the needle and thread go through the material a sewing machine can easily and neatly do that for you. You will enjoy sewing I am sure; however, you will need to get the best sewing machine for beginners. This is what we will look at through this article. 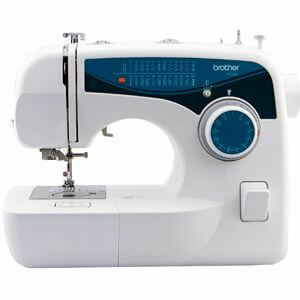 Here is the list of good beginning sewing machines that you need to check out. 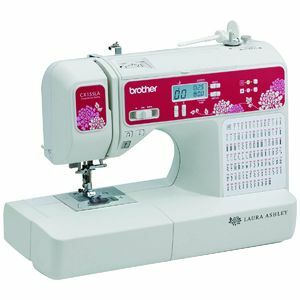 By the mention of the brand brother, definitely, this is a high-quality sewing machine. 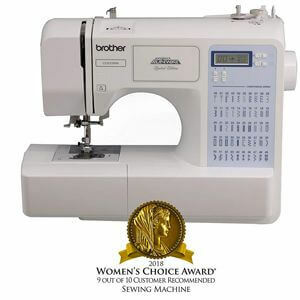 Brother Designio series DZ2400 could not miss on the list of the best sewing machine for beginners. It will not only help you learn how to sew but also explore more on sewing. You can never go wrong with purchasing this machine. It is a durable one and affordable. It sews smoothly and with no noise; it has no funny hums or clunking noises. It will give you perfect stitches. With it, you also have the ability to make buttonholes in one step. 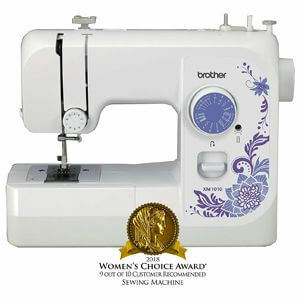 Buy Brother Designio Series, DZ2400 and learn sewing plus much more. It is not loud. Compared to many sewing machines this machine is more quiet, giving you an easy time as you do your sewing. Variable speed control. It gives you the ability to change the speed according to how fast or slow you want to do your sewing. Advanced needle threading. Unlike many other machines where you struggle when threading the needle over and over when sewing, this one comes with a built-in threading system.All you need to do is press the lever on the side of the machine and Designio Series will push the thread through the eye of the neeedle. Super bright work area. It has a led lighting system that illuminates your working area thus you can easily work on dark fabrics. Large working space. Compared to other sewing machines, this machine has 33% larger working space making it easy for you to maneuver your project. This is a computerized sewing machine that will give you high-end fashion at an affordable price. Unlike many other computerized sewing machines, this one is very easy to learn and to use. I recommend it to every beginner who is willing to start sewing but has a low budget. Look no further for the best sewing machine if you are a starter. This machine is of good quality and has all the features that a good sewing machine needs. It is a complete solution to give you that true designer edge.You can use it on all types of fabrics. Lightweight and portable. With the small footprint, convenient handle and lightweight it is easy to carry this machine from one room to another. Convenient stitch chart. It comes with many built-in stitches that are displayed on a chart that is light on the fort of the sewing machine. Automatic threading system. It is easy to thread your needles with this machine. With a touch of the lever, the system will automatically push the thread in the eye. 5 one-step, custom-sized buttonholes. Give your next project a truly professional touch, with a row of neat, consistent buttonholes that show your attention to style. 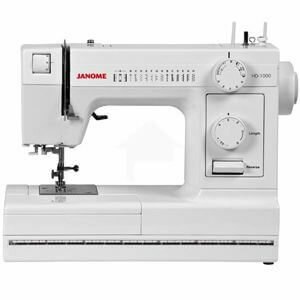 This HD-1000 by Janome gives a super sturdy construction and easy to use features for dependable and enjoyable sewing experience for the beginners. With this machine, you can sew all types of material including leather. You get all this at an affordable price. Janome is a trusted sewing machine company and you can never go wrong with buying their products. Their products offer what they say. if you are a beginner looking for a sewing machine then look no further, Janome HD1000 is a perfect machine for beginners. It has a manual that will guide you on everything you want to do.Enjoy sewing with this machine. It is made of the heavy-duty aluminum body that makes it perfect for a person looking for a machine that can tackle many fabrics and sewing types. It is equipped with 14 stitches and four-step buttonhole that provide stitches for a range of applications. It has other features like built-in threader and storage tray. It comes with a bonus kit that has; concealed zipper foot, 10-pack bobbins and size 12 needles. It has a manual that has clear diagrams to help you set up and do all your sewing. Are you looking for a versatile lightweight and yet full-sized sewing machine? Then this is the solution. You will get it at an affordable price. It is a durable product and you will not have a hard time learning and use it as a beginner. Purchase Brother Sewing Machine, XM1010 sewing machine and get started right away. With this machine, you can work on all materials even jeans. The instructional DVD makes it much easier for the starters. The machine comes with a tutorial DVD that will give you clear instructions on how to use every feature. You will not need to hire a teacher to help you with the setting up and operations. It has four-step auto-sized buttonholes. This will give you an easy time while creating buttonhole to fit a specific button for it will do it automatically. It comes with accessories. It will come with a darning plate,3-piece needle set,4 bobbins,4 feet, foot controller, screwdriver, instructional DVD and user guide. this will save you the cost of buying all this. Jam-resistant quick-set drop-in top bobbin. This will ensure your bobbin stays in place and you get reliable and quality stitches that you need. Adjustable thread tension. With this machine, you can easily adjust the thread tension to suit your project. Jamone is one of the best sewing machine makers I the world. This machine is not the common toys in the market that will break immediately you plug in. If you have never sewed in life before and are looking forward to sewing, this is the machine. 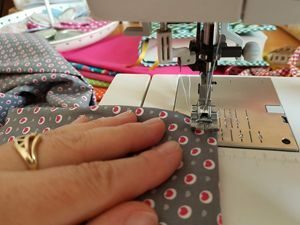 This is an amazing sewing machine for a beginner. It is very easy to use it, therefore you will not have to look for an expert to train you on how to use it. 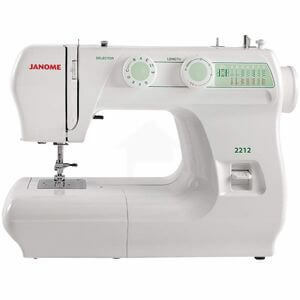 The other added advantage that comes with purchasing Janome 2212, you do not have to break the bank to get a sewing machine. Get a good quality machine at an affordable price. It is easy to use the machine. It comes with 2 built-in stitches, an easy to use four-step buttonhole, dial pattern selection, and zig-zag stitch width adjustment and stitch length adjustment. It is versatile for all types of sewing. It is equipped with great features such as free arm and drop feed that enables the adjustments. it is a good mechanical machine with a metal body will last a lifetime; once the computer breaks down in a computerized machine, it’s done for. It is a lightweight machine. This makes it the best starter sewing machine. Are you tired of hiring someone to do you little projects, like pieces to decorate your house? Get this machine and become your own interior designer. This is a perfect machine for the beginners. It is easy to use and therefore you can learn sewing easily with no training. It is affordable. Look no more for a good quality machine for the beginners. This is the machine. It will give the value of your money and you will never regret buying it. It is worth every dollar you spend on it. Explore more on sewing with this machine at a very fair price. It will come with a full set of accessories, therefore, saving you the cost that people undergo to get them. They include 11 sewing and quilting feet, and an extra wide table that will make it easy for you to maneuver through your project. Variable speed control and a start and stop button. This gives you the ability to choose how fast or slow you want to do your sewing. It comes with a LED lighting system that makes it easy for you to work on the dark fabrics. 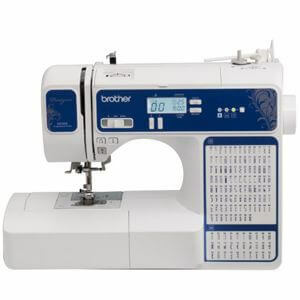 Brother exclusive jam resistant, Quick-Set top drop-in bobbin to ensure precision fabric control. Easy threading system and different stitches to choose from. You just need to touch a button to change the stitch. Budget is everyone’s issue of concern in the current days. 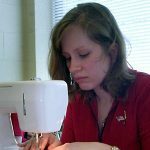 For a beginner, you do not have to spend a lot of money to purchase a sewing machine. Get a good sewing machine at a fair price. Janome Magnolia 7318 is among the most affordable beginner sewing machine. 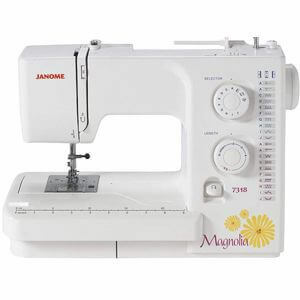 Jamone magnolia 7318 has all the features that you need for great sewing. Look no more for the best first sewing machine. This will be a really good machine to experience and better your sewing skills. It is a lightweight machine. It is equipped with 4 step buttonhole with balance adjuster for precise results on specialty fabrics.You will make clear buttonholes with this machine. Comes fitted with a top loading jam proof bobbin system and the newly designed 7-piece feed dog which ensures precision fabric control. You can choose from the 18 different stitches that it has depending on what you want. It comes with a Bonus Bundle Includes Janome Muffling Mat, 10 Plastic Janome Bobbins, 1 Pack Size 14 Needles. This will save you the extra cost of buying these items. It has multiple needle position and it is easy to thread. The needle eye faces frontward and you don’t have to crane your neck to see the eye. The singer is another trusted brand when it comes to sewing machines. It has been in this industry for so long. Therefore, you can trust all their products. 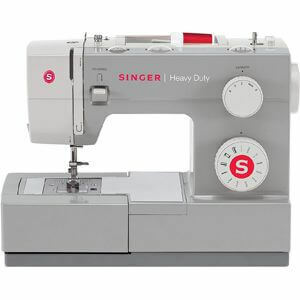 Singer Heavy Duty 4411 is one of the best product they have for beginners. It has features that are easy to use and learn. With all these easy to learn and use features start sewing today using this machine. This is a true workhorse. Purchase today at a very fair price and have fun sewing. It is equipped with adjustable foot pressure, therefore, making it possible for you to sew even the lightweight sheers with ease. Not many machines can sew light sheers. It has a stainless steel bed plate that makes it easy for the fabrics to glide over the machine. It has a built-in reverse. This makes it possible for you to sew stitches in reverse, this is done to secure a seam at the beginning and the end to prevent unraveling. You can use the singer sewing assistant app for instructions and learn more about the machine. 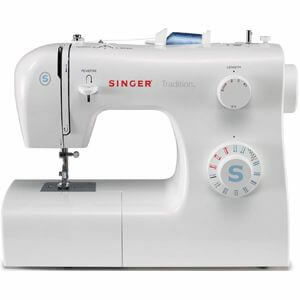 Another affordable starter sewing machine from the most trusted company singer. It has features that will make learning the new hobby of sewing easy and fun. It is a perfect machine for learning. With this affordable sewing machine, learn the new hobby. It will make it easy and fun. You can never go wrong with Singer Tradition 2259. I highly recommend it for starters. There is an online support platform that will help and answer all your questions in case you are stuck. It is easy to use this machine. All the features are easy to learn and use making it perfect for the beginners. It has 19 built-in stitches that are easy to select and change. This will offer you a variety of fashion sewing, crafts, home decor and decorative sewing. It comes with all the accessories that you will need for sewing. Therefore, you will not incur the extra cost of buying them. It has an all-purpose foot for all types of projects. There is an online support available for the singer therefore if stuck you can easily get help. This is another perfect machine for a kids & beginner. It has features that are easy to learn and use. It is lightweight and comes with a manual that takes you through everything about sewing machine from basic setup to customized buttonholes. It is perfect for so many home projects. What more would you want for a beginner sewing machine? This is a perfect machine to get you started with your sewing. You will get it at an affordable price. Purchase one and you will never regret. It comes with 25 years of warranty. Easy stitch selector. All you need to do is touch the dial to change the type of stitch depending on the fabric and your preference. It is fitted with the Automatic needle threader. Making it easier and faster to thread your needles. It has an A-resistant top drop-in bobbin. All you need to do is drop in your bobbin, pull the thread through the slot and start sewing. Sewing is an interesting hobby that one can easily learn on her/his own. It is one of the best ways to express the love of arts. However, if you are a beginner going for the right sewing machine is a necessity. Otherwise, if you buy a complicated machine to use and learn you might end up hating sewing. I suggest you pick one from the list above that suits you better. Learn and enjoy your sewing. 2017 SewingFunStuffPro.com. All rights reserved. >> SewingFunStuffPro.com is a participant in the Amazon Services LLC Associates Program, an affiliate advertising program designed to provide a means for sites to earn advertising fees by advertising and linking to Amazon.com. Amazon and the Amazon logo are trademarks of Amazon.com, Inc. or its affiliates.